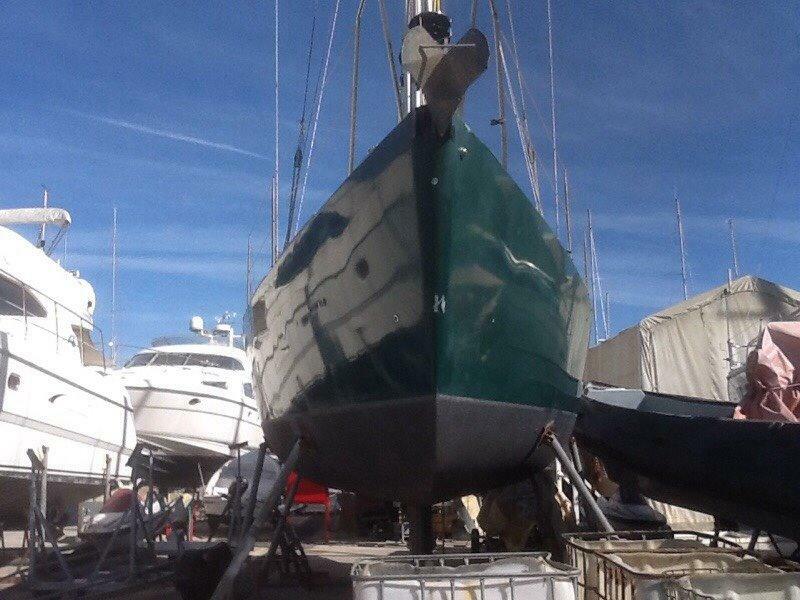 Dudley Dix 38 Pilot, steel hull and home completed to an exceptional standard with Cherry wood joinery and Awlgrip green external paint. 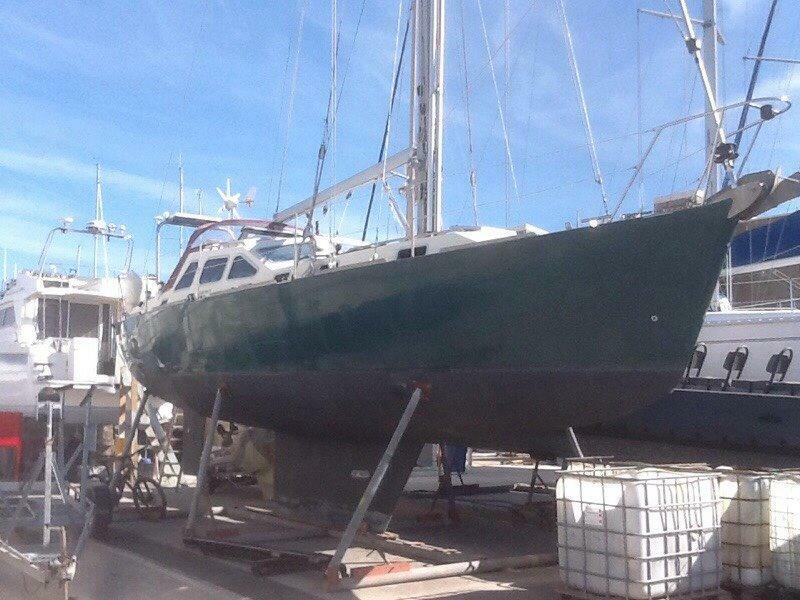 Hull professionally welded in 2000 and fitted out by owner over a seven year period. 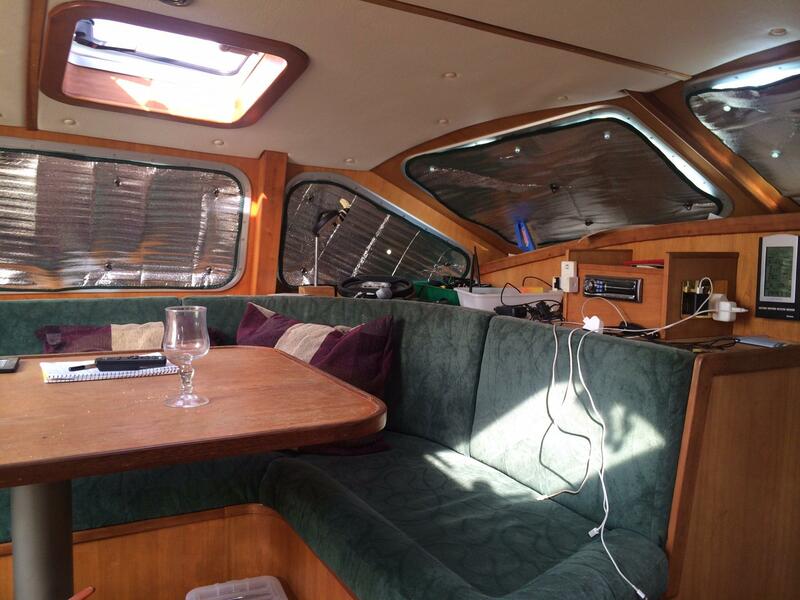 3 double cabin layout with deck saloon dinette. 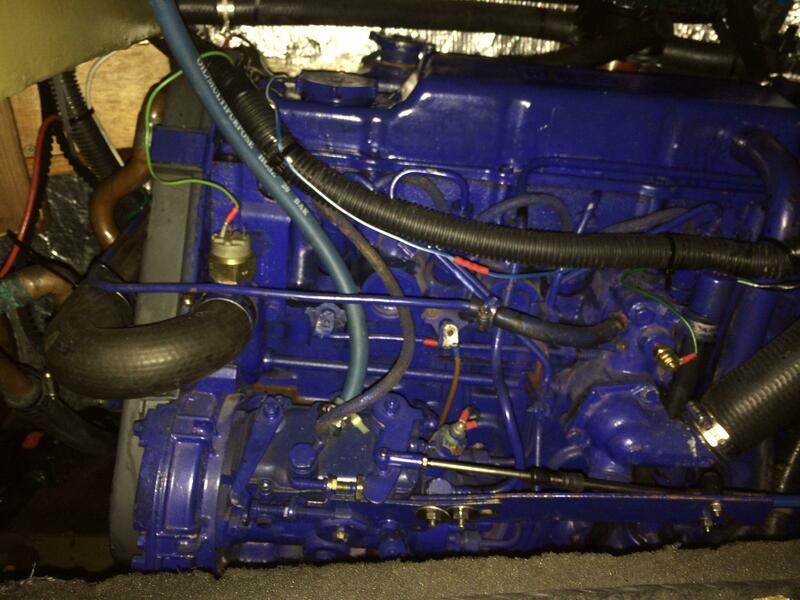 Ford lancing marine 40hp inboard diesel with shaftdrive. 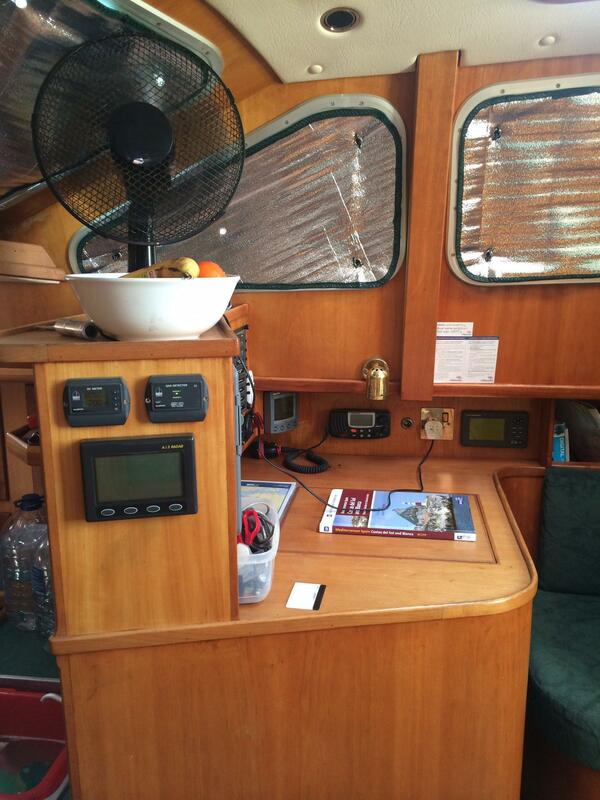 full set of Raymarine navigation equipment and Hydrovane self steering. 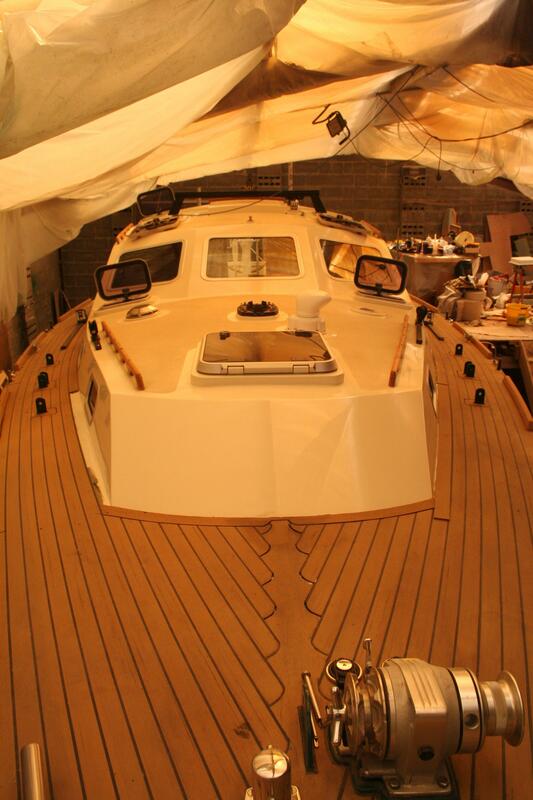 The Dudley Dix designs have a reputation as no nonsense go anywhere cruisers and this 38 Pilot is no exception. Ford 40hp inboard diesel with shaft drive to fixed 3 blade propeller. 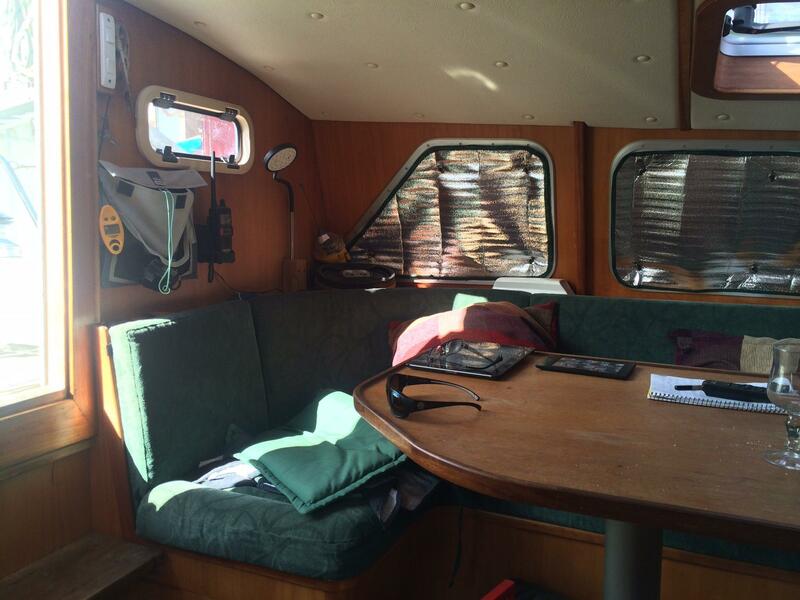 Shore power with Victron inverter charger. 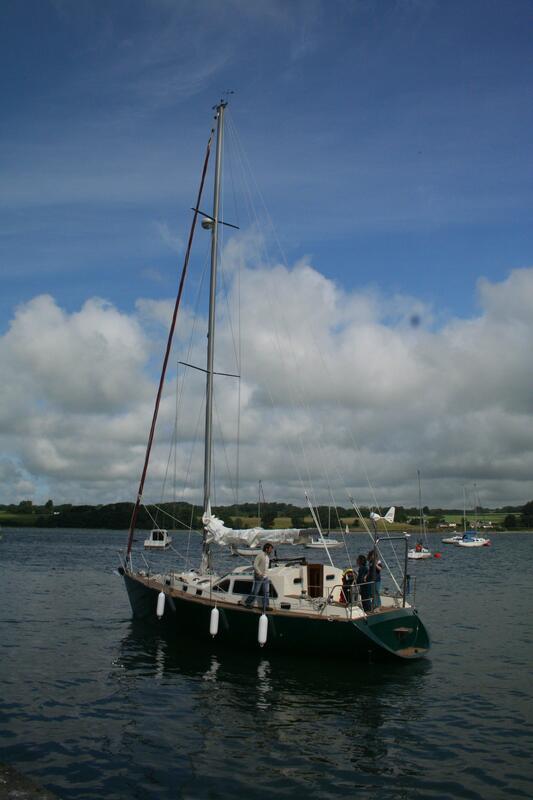 Aluminium mast and boom, plus twin poles. 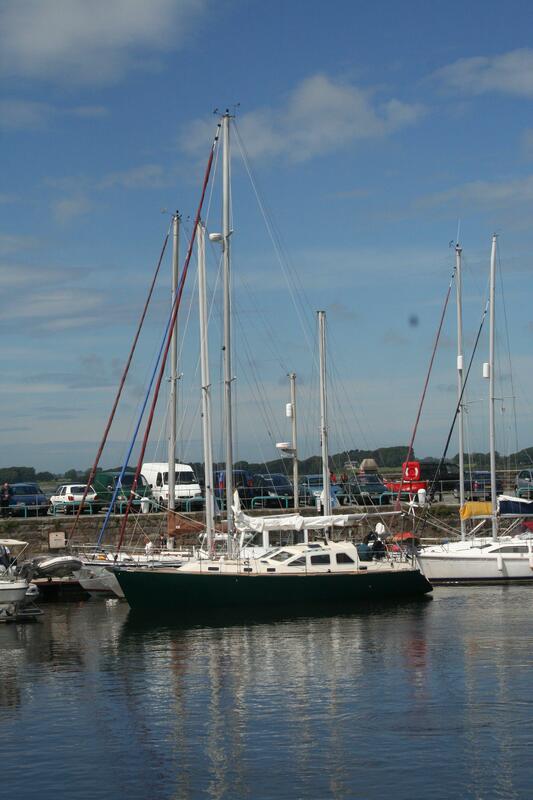 Mainsail with slab reefing (3 reef points). 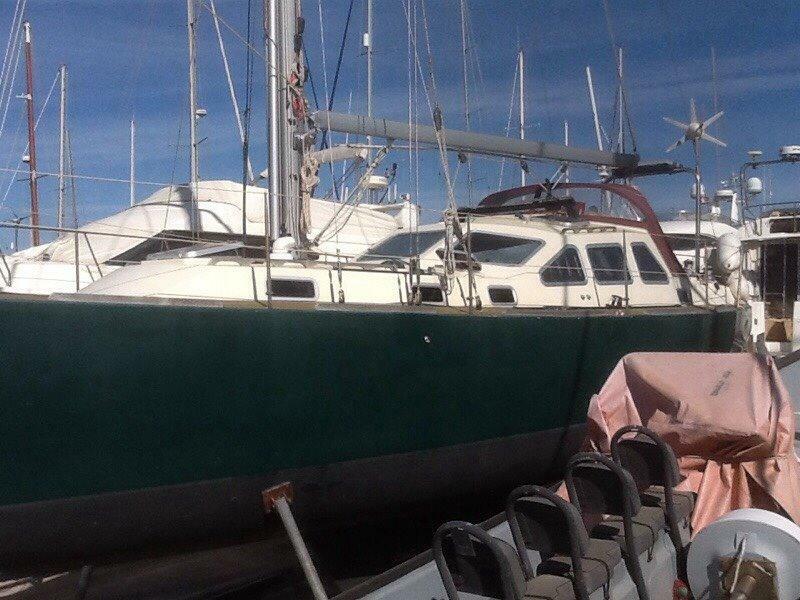 Roller furling genoa with twin groove second genoa. 8 x self tailing winches. 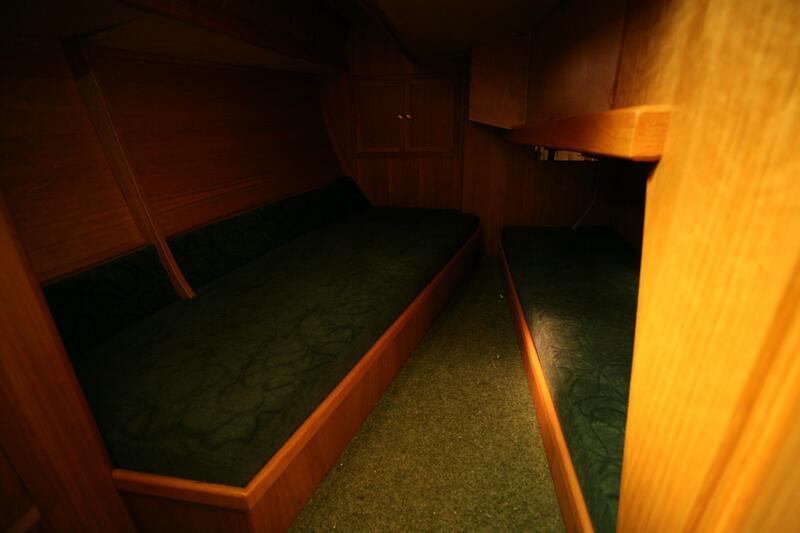 Forward large double berth stateroom with ample storage. 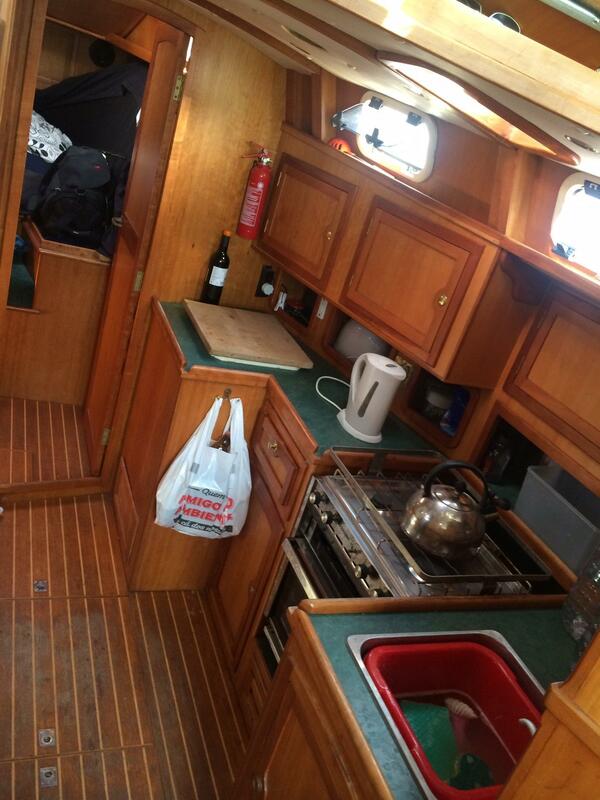 Galley to starboard with 4 burner cooker with grill and oven, Fridge, single stainless steel sink, hot and cold pressurized water. 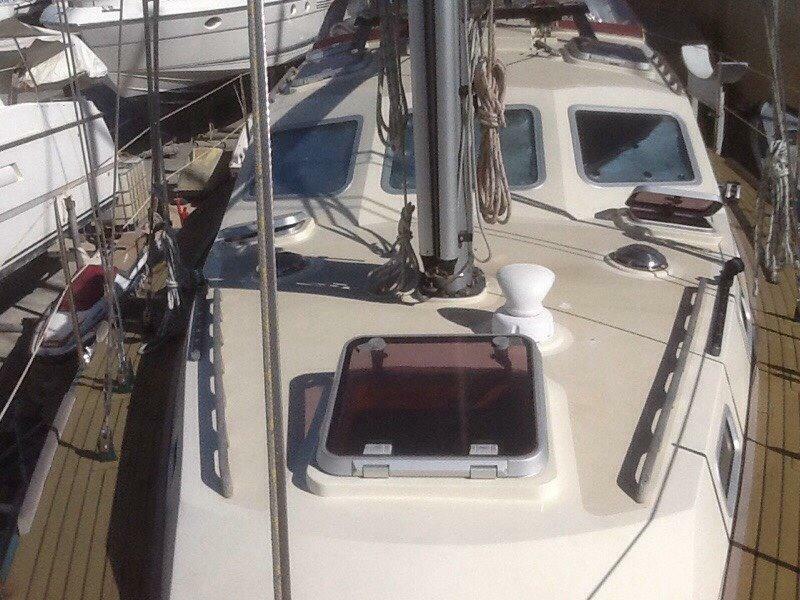 Heads to port with marine toilet, holding tank, basin and shower. 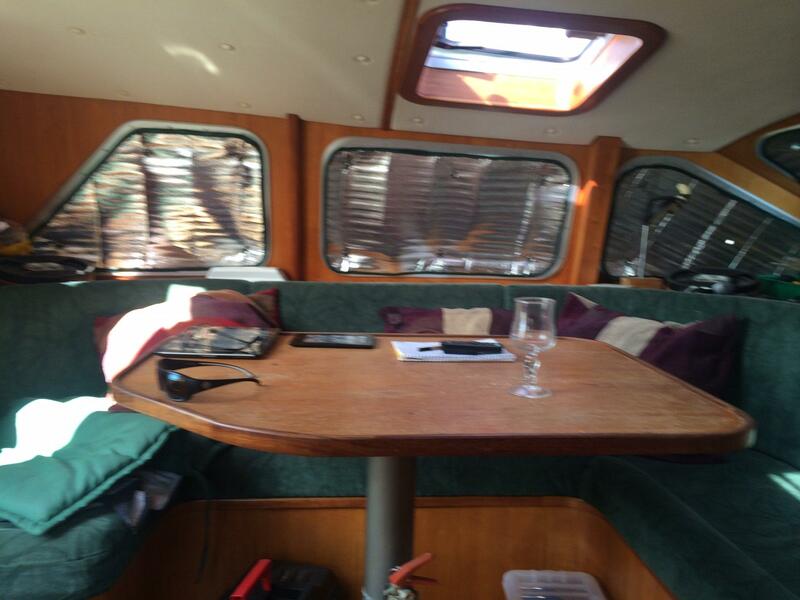 Double berth cabin under dinette. 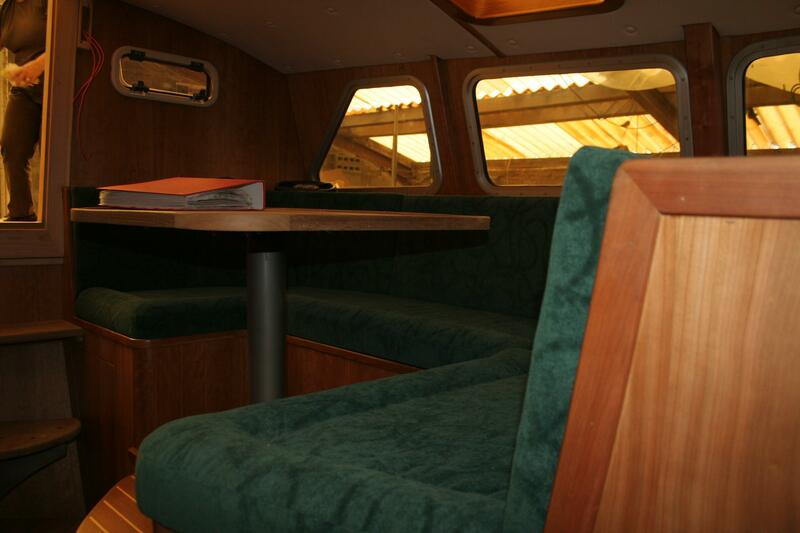 Wrap around raised dinette in deck saloon with ample seating. 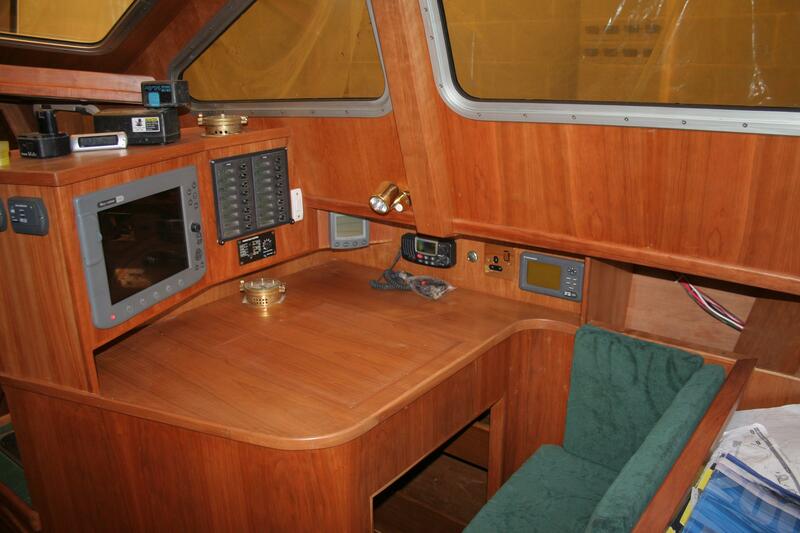 Chart table to starboard in deck saloon with full instrument panel. 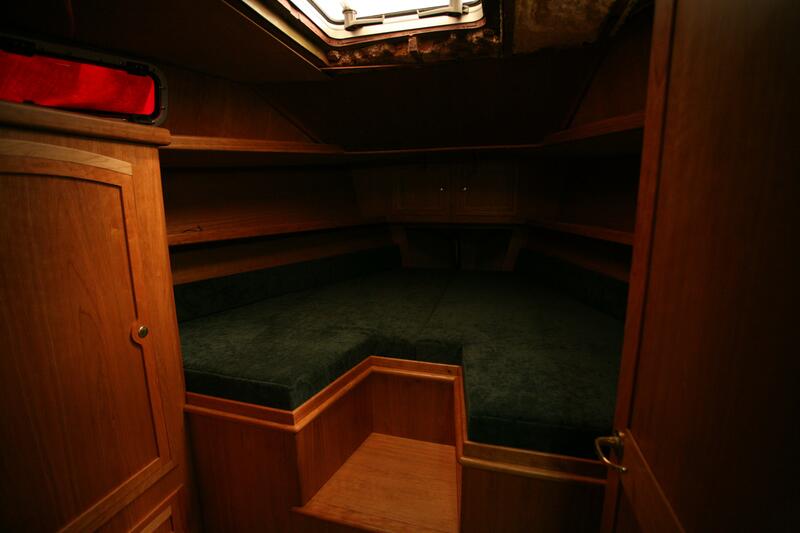 Cherry wood internal high quality joinery throughout with ample storage in all cabins. 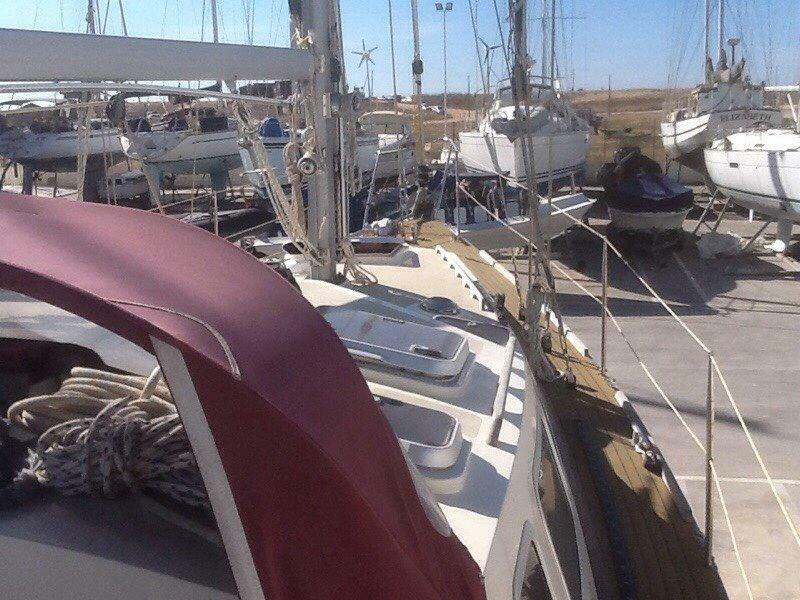 Anchor with 35m of 10mm chain. 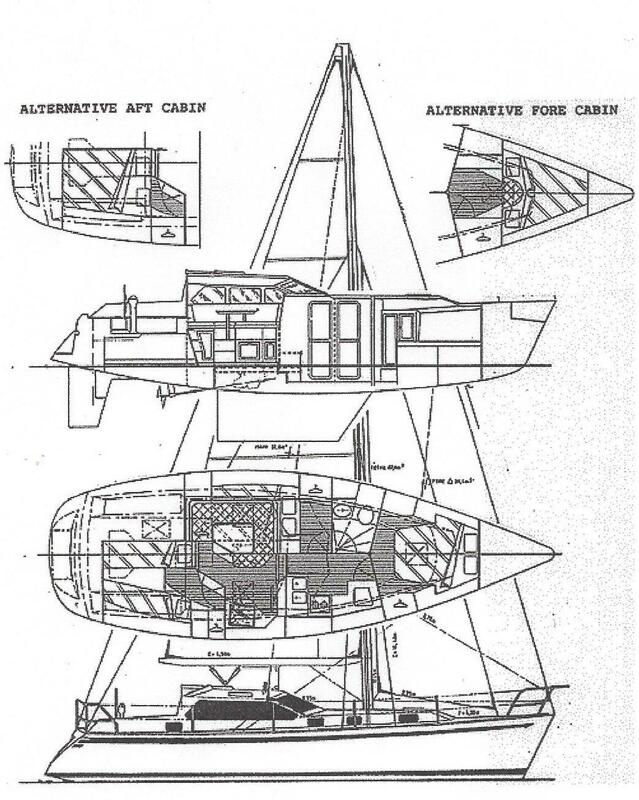 Forward and aft mooring cleats. 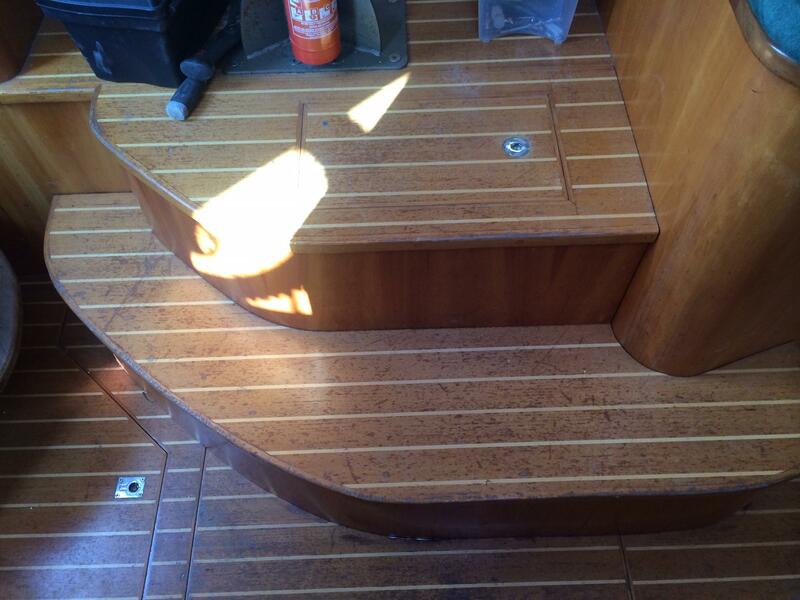 Raymarine ST60 depth, log, speed. 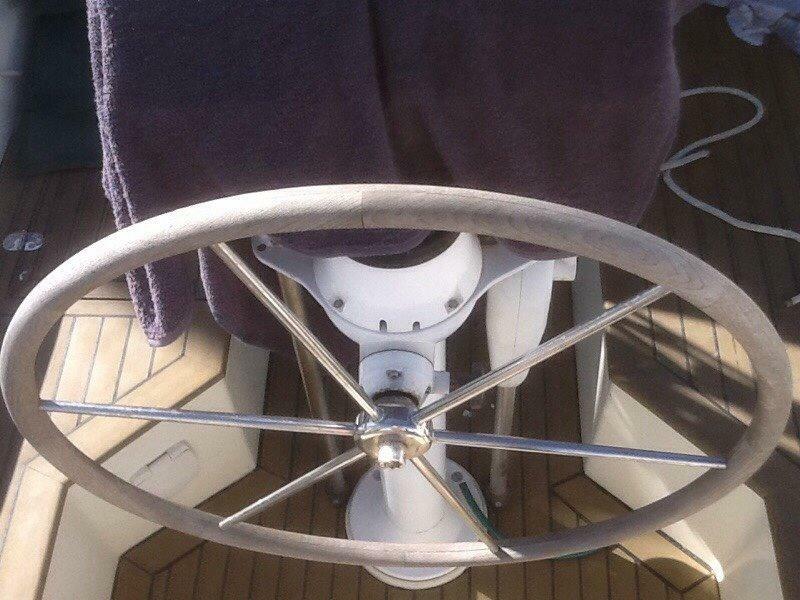 Raymarine autopilot with hydraulic ram. 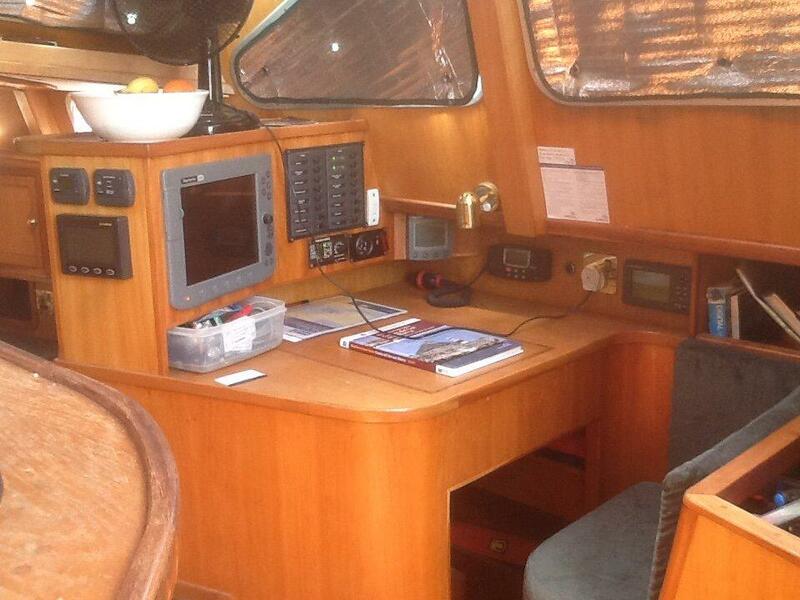 Raymarine C120 Chartplotter with Radar. 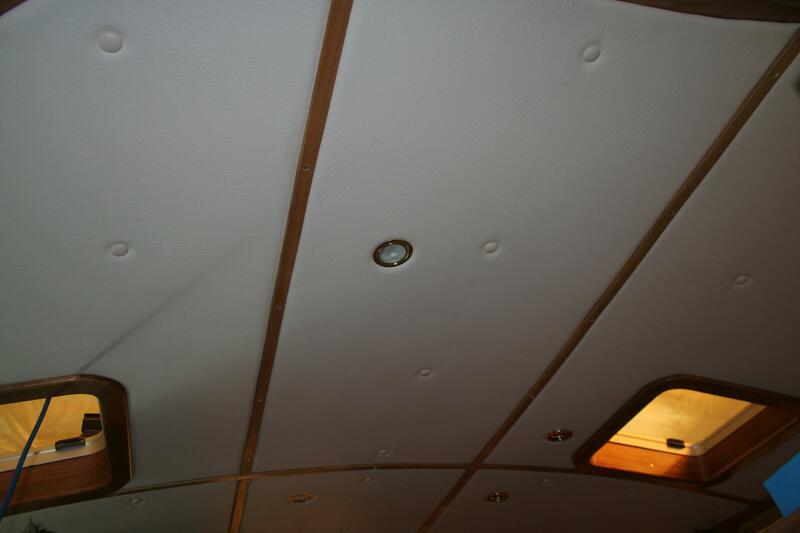 Full set of navigation lights. 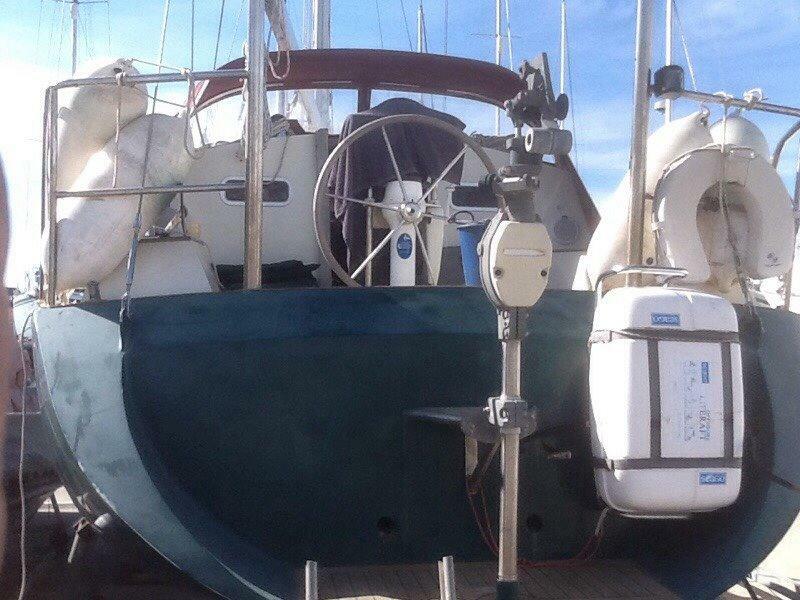 3 bilge pump, 2 electric 1 manual.